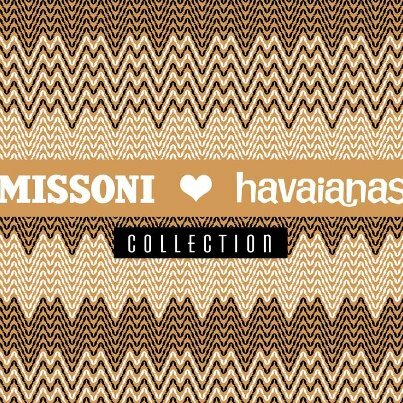 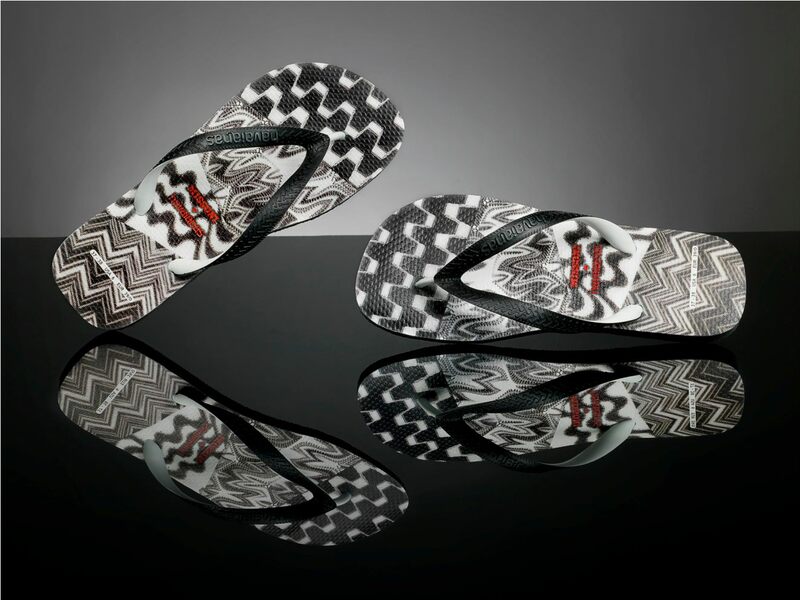 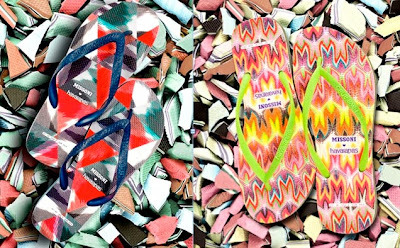 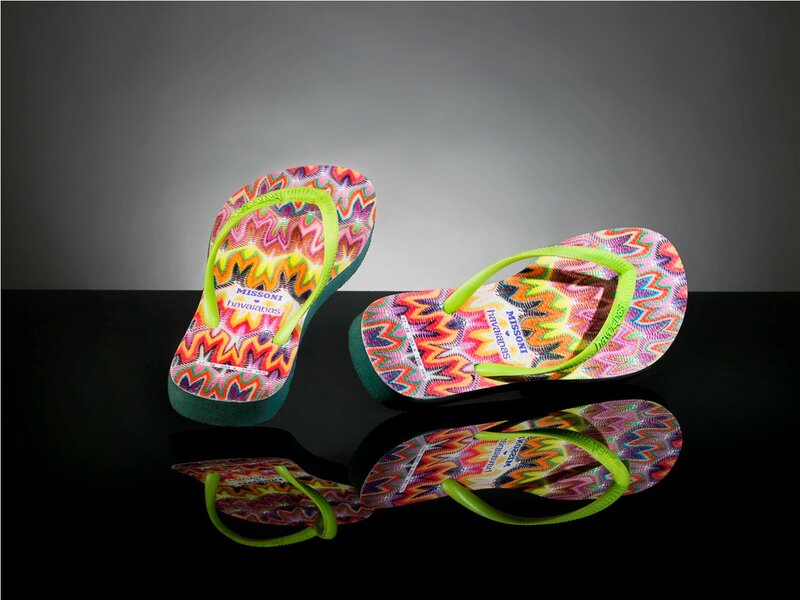 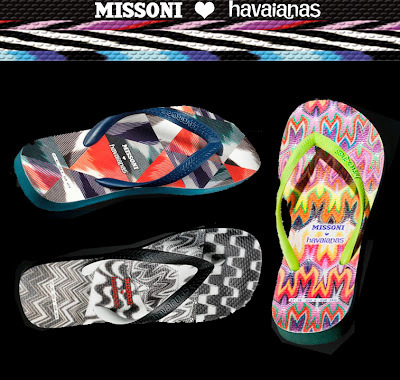 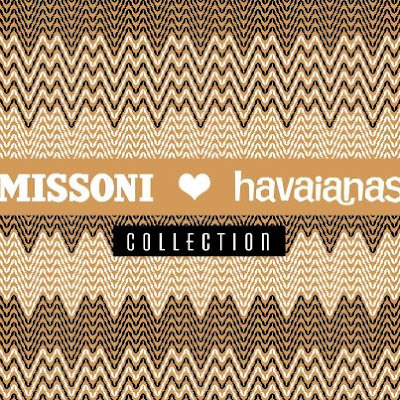 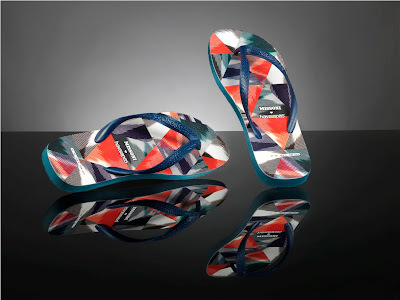 The second collaborative effort between Italian fashion and design house Missoni and Brazilian flip-flop brand Havaianas, Missoni Loves Havaianas 2012 features 3 new designs of the Brazilian sandals for women, men and children that just became available on June 8th. 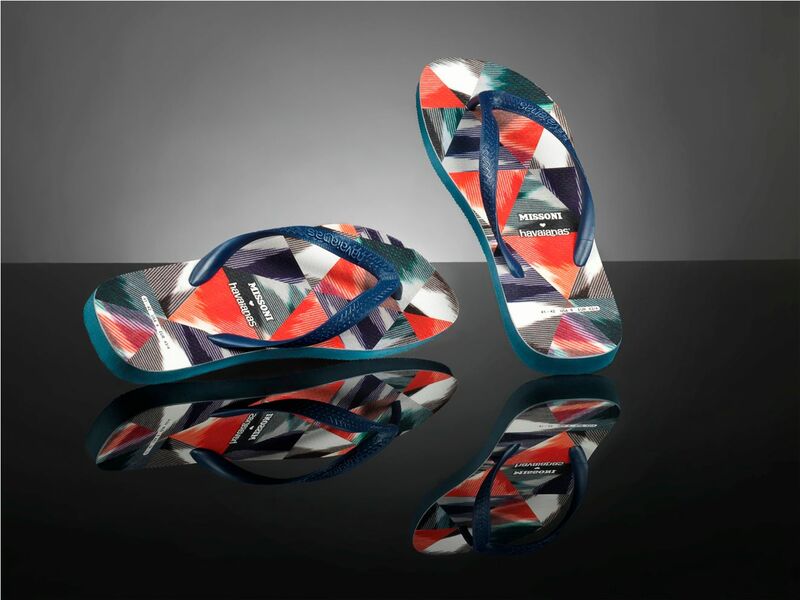 The collection is made from leftover rubber obtained in the manufacturing process. 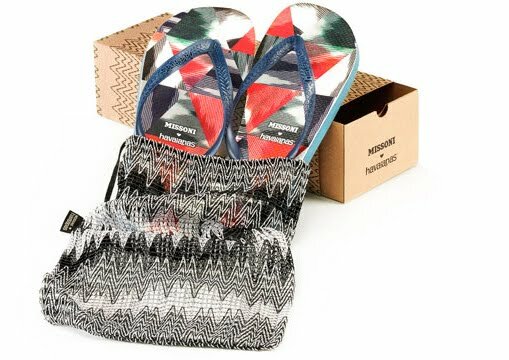 The packaging is eco-friendly as well, complete with a signature Missoni flame stitch drawstring bag.